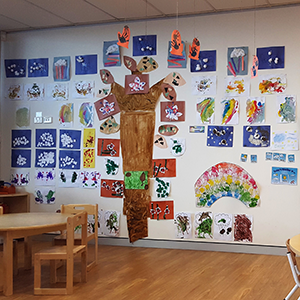 Our Child Care near Villawood is a must for working parents, but many worry that it isn’t the best option for their children. 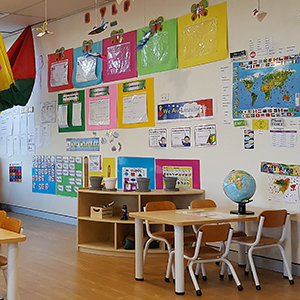 Let us put your mind at ease: quality child care centres such as Imaginations Preschool and Early Learning Centre can provide you with the reliable child care you need and be something that you and your child will both enjoy. There are many benefits of regular day care programs; here are just a few of them. Kids in day care are less likely to suffer from separation anxiety, social withdrawal, and other emotional problems than kids who spend all their time with an emotionally compromised caregiver. The teachers at our Child Care Centre know how to handle behavioural problems and children receive lots of chances to learn and socialise. These programs also make it much easier for children to adjust when it’s time to start preschool. Children who attend large day care groups at young ages will usually have fewer illnesses, such as ear infections and upper respiratory infections, later, when they start school. Kids who spend time regularly in child care centres early on may have higher intellectual abilities later. These kids enjoy many opportunities for socialisation, parallel play, and observation, all of which help the brain develop. Socialisation is an important benefit of day care. It can help kids learn basic skills such as sharing, problem-solving, and working as a team. At a centre where teachers are well-trained to provide care for children, children also learn to use their voices to solve conflicts. Many parents either must work or choose to work, and an excellent day care centre can take the worry out of leaving their kids for the day. We place a high emphasis on education, which means we don’t just keep your child safe while you’re at work; we also help them learn through fun activities concepts such as counting, colours, reading, and more to best prepare them for school. If you’re frustrated with other preschool and early learning centres that may treat your child as a number, you can count on us to recognise your child’s potential and help them grow. 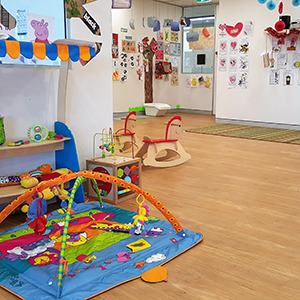 Give us a call on 02 9724 6356 and schedule a visit with us to see how our early learning centre near Villawood can help your little one reach for the stars.